Tucked into the Cannabis Act—the federal legalization that allows for the legal sale of recreational cannabis in Canada—one will find the rules governing how to operate a micro-cultivation facility. Like the large licenced producers (LPs), there are licensing fees and security requirements; unlike those LPs, micro-cultivators are subject to a designated square footage and output. “A micro-cultivator approved by Health Canada can only grow cannabis. The only options for selling are another processor, an LP or a researcher,” explains Tom Doran, founder and CEO of Pattern Micro Cultivation, a growing collective of micro-cultivators that also acts as a consultancy for those looking to get into the micro-cultivation business. Micro-cultivators “cannot sell to a provincial or territorial outlet. They can grow cannabis, but cannot make oil with a cultivation-only permit,” Doran points out. 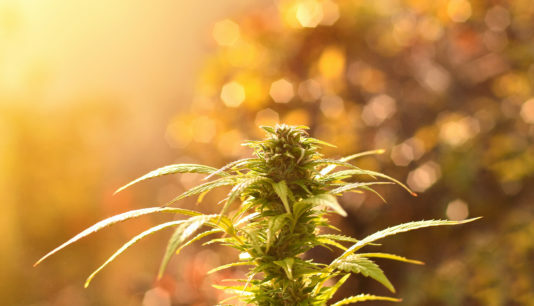 To get a micro-cultivation operation off the ground, a person needs $2,500 for a micro-cultivation licence (this covers growing cannabis plants for distribution) and another $2,500 for micro-processing (this covers anything related to processing and packaging the flower), both through Health Canada. Some consultants stress that if a person wants one of these licences, it’s likely best just to get both. “[Cultivating], that’s one licence in itself,” notes Edward Collins, vice-president of global sales and marketing at Cannabis Compliance Inc., a Mississauga, Ont.-based firm that specializes in helping cannabis businesses navigate all areas of the industry. “There’s a processor’s licence, that most don’t need if they’re working with a larger LP. There’s a sales licence, and there’s a [nursery licence]. That’s really for genetics more than anything else,” Collins says. A sales licence will also run a grower approximately $5,000, he says, and a nursery licence will set him or her back another $2,500. At this point, it’s also worth noting that mirco-cultivators have to go through their municipality to ensure they can operate a cannabis grow facility legally in the area they want to call home, which could incur administrative fees and more depending on the municipality. The specific rules all depend on the municipality in question. Now that initial fees are out of the way, each micro-cultivator will need to pay $1,654 per person in security fees, which covers directors, shareholders (above a certain percentage) and those holding a meaningful position (master growers, for example) for the site to have the designated clearance to get growing. Add to this tally, notes Health Canada, that the minimum fee is either $23,000 or $2,500, depending on the types of licences a person is seeking. And once things get under way, there are regulatory fees after revenue starts rolling in, namely one percent for cannabis revenue of $1 million or less and 2.3 percent on any cannabis revenue in excess of $1 million. These fees might not be too daunting, yet. However, the application process for a micro-cultivation licence is pretty dense (think between 100 and 225 pages per application, and it can take about eight weeks to complete, Doran says). So, enlisting some outside help could certainly be beneficial, but that assistance doesn’t come for free. “There are licensing firms out there,” Doran says. “The one that I use, one of my foundational partners, he charges about $37,000 to complete a micro-cultivation application for Health Canada. If you do processing, it’s about $67,000 for both a micro-cultivation and a micro-processing permit to Health Canada,” he adds. Money will also become a factor when looking for land to cultivate—a piece of property large enough to play host can cost a prospective grower anywhere from $50,000 to $500,000, depending on the desired location—as well as looking at whether to build a facility from scratch or retrofit an existing structure to fit within the licence’s rules and regulations. “I think a barrier to entry in micro-cultivation is the cost, the licensing and the construction of the facility,” Doran warns. He also sees marketing as a potential hardship, given that regulations are strict when it comes to marketing cannabis, and LPs will simply have decidedly larger marketing dollars to play with. There are LPs that are actively looking for micro-cultivators to help supplement or buoy their existing offerings. That being the case, linking up with one of the bigger cannabis brands has its benefits, especially if a would-be grower is looking for a leg-up when getting started. “Just like with craft alcohol, we want independent operators to be able to create their own niche and their own branding and to compete,” Doran says. “The independent cultivators in the craft cannabis that’s produced will simply be better than what’s produced by the large LPs, who’ll have more output, but it won’t be as good,” he argues. Doran also mentions that some LPs, such as B.C.-based Sundial Growers, are adding smaller grow rooms to help produce better flower for their proprietary brand, as well as reporting that his understanding is there are only about 30 to 35 micro-cultivation licence applications pending with Health Canada, so now might be the time to get those papers in order. Although micro-cultivators may be seen as the little guy in this burgeoning industry, it’s clear there are benefits—monetary and beyond—to starting a smaller, legit cannabis growing company. © 2019 Medical Marijuana Consulting. All rights reserved.